Turn Off the Lights for Desktop available today! A year ago we started secretly on a new project that answer to the question of many of our users said to us, in the Chrome Web Store extension review page and in our contact form. And that is to dim your whole screen with a single click on the lamp button. 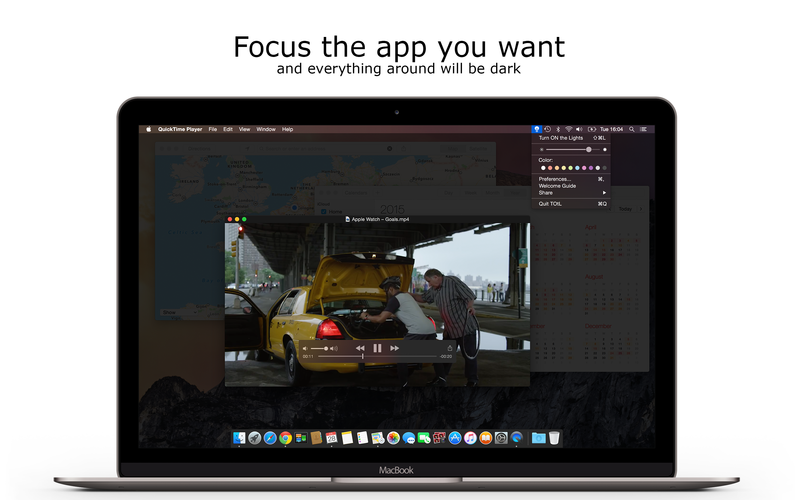 We happy to announce that Turn Off the Lights for Desktop is available today in the Mac App store. It’s a new and unique app in the store, that allow you to dim your whole desktop from the top all the way down to the bottom. With more than thousand of options inside to customize the app to your look that make you feel comfortable. Turn Off the Lights for Desktop is compatible with MacBook, MacBook Air, MacBook Pro, Mac Mini, iMac, and Mac Pro. Turn Off the Lights for Desktop have more advanced features you have never seen before in an App. So we are going to highlight only three important features in this blog post. You as user can change the color of the layer in the preference window to blue, green, red, orange, pink, yellow etc. And there is an option to show a video when you do the lights off. It’s sound crazy, but you can watch a full movie and type together your text document. Also, we add the know Mouse Actions feature from the browser extension in this app, such as the spotlight around the cursor. And an option to cut the YouTube (and other video platforms) player out of the dark layer. With this option enabled, for each window you click will be on the top of the black layer. Example, if you click on the QuickTime player, everything around will be black. 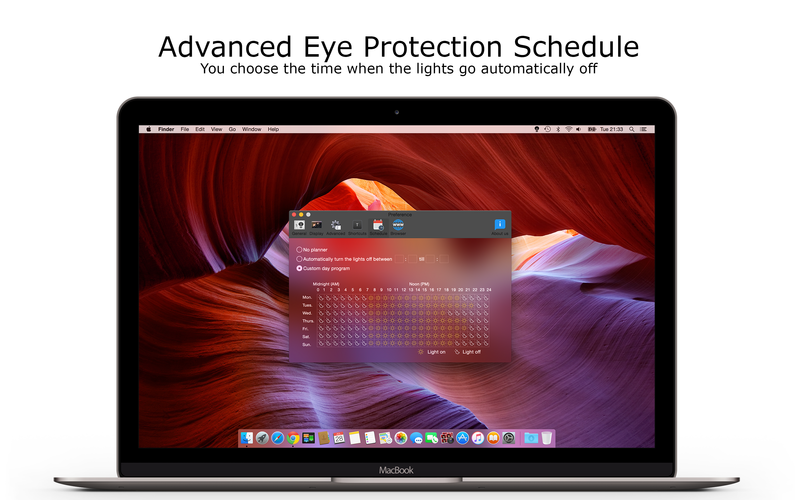 One of the feature that this application makes so unique is the advanced Eye Protection schedule. Here you can set witch day and time the lights must go on or off. 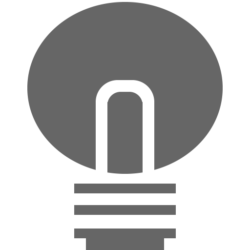 Turn Off the Lights browser extension is loved and used by millions of users worldwide already. Try Turn Off the Lights for Desktop today! If you have feedback for us, please don’t hesitate to contact us using Twitter, Facebook or on our support page. Previous PostPrevious Aurora Player available today!